It was “ok” because I did not attain a PR which was my goal going in. Yes, it was very windy and yes, I did not eat well all week leading into the race so in a way, not getting a PR was probably in the cards right from the start. I did finish it under 1:50 which was a secondary goal coming into the day so there was some positive coming out of this race…at least that was the way I was thinking as of Sunday. 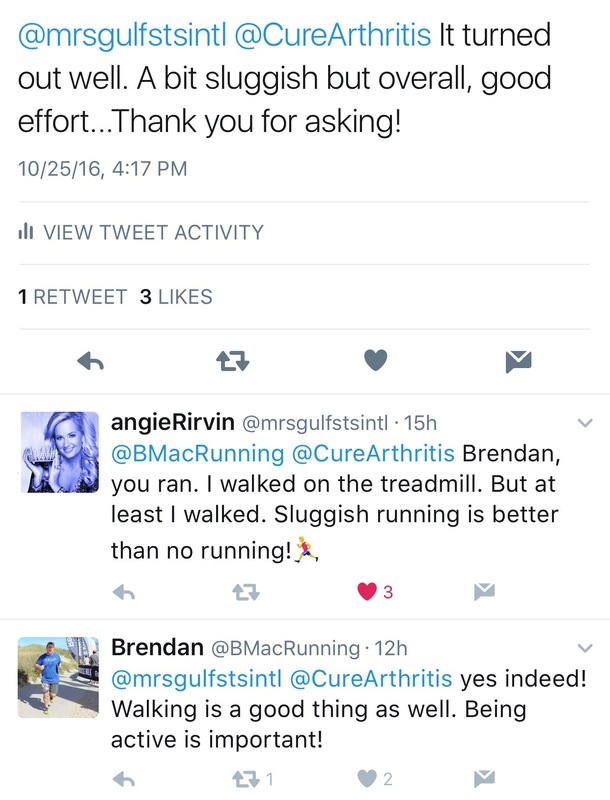 I am a big fan of Angie’s work on Twitter as she brings a bunch of information to the forefront as it relates to diseases such as arthritis and alike. 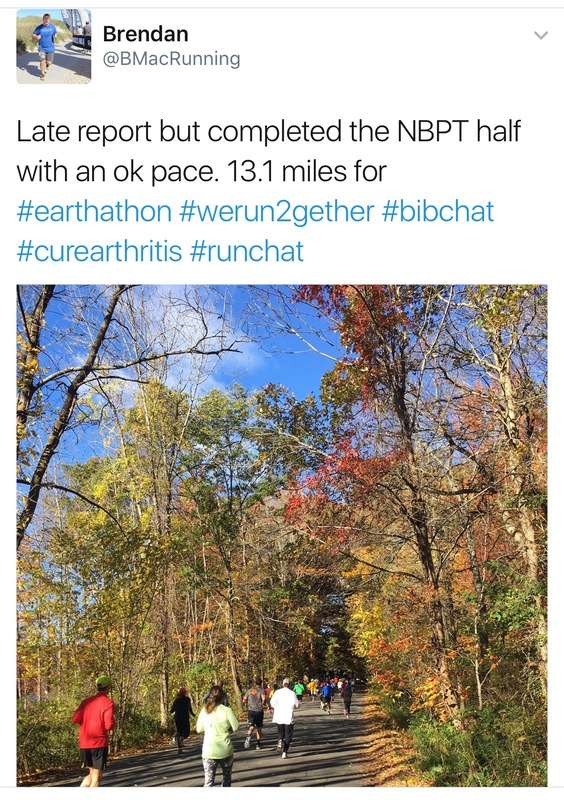 I am a follower of the running community (after all I post a ton of running stuff) but really just starting to connecting with the folks in the Arthritis world and realizing that I need to do more of such if I am going to raise awareness of what Psoriatic Arthritis does to people (and has done to me). Arthritis is an annoyance for many as we get older – PsA on the other hand, is severely debilitating and with three young kids, I can’t let this diseases beat me. I can’t let it get in the way of my family life and I will simply not let it get in the way of my normal way of life! One way I will be getting the word out more on PsA is via the “good news” that is occurring in the world of arthritis. On the CureArthritis.org site, I found the following which gives a rundown on the research going on. 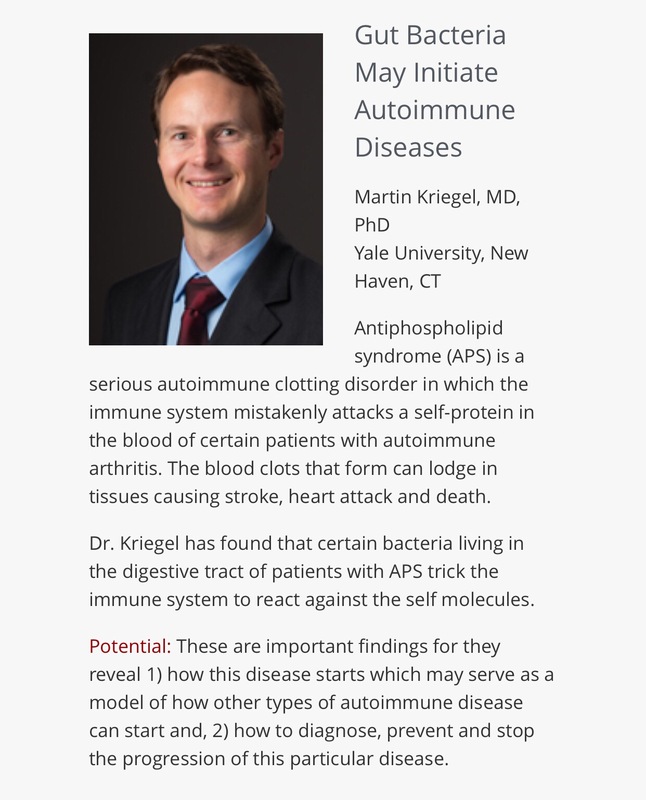 In addition, the particular note below is encouraging to me as with PsA, I think the Gut is to blame in part and if Dr Krueger is finding the bacteria that is at the root of the problem, perhaps we are moving towards a solution within my lifetime! Along the thinking here, when the gut is free from gluten, the body seems to exhibit less inflammation. Perhaps then by removing things like gluten, the bacteria in the gut does not have anything to feast on. Well, that is about it for today. Thank you for reading as always! Next Post 5 for Friday: The Great Debate! Wow that’s really interesting. You’ve mentioned PsA I think but I glossed over it because I didn’t know what it was. I’m glad you shared this about what you’re dealing with and the positive developments in the field of research around it. Medical science is amazing. I hope they do find a cure for you and others afflicted. Great post and great finish at NBPT. Your time blows my PR out of the water! Thank you. Medical science is dynamic and hopefully continues to advance! PR’s are all relative I believe to what one does in the past. Time not so much.